Iliad or Odyssey� Which do you prefer? The tales of Iliad and Odyssey are so very different that often readers distinctly choose one as favorite. While the plot of Iliad is viewed as tragic, certain parts of Odyssey are seen as comic. This is due to Odysseus� broad sense of travel which includes ridiculous events. Most of the action in Troy is on the battlefield between the Achaean camp and the Trojan wall. In the Odyssey, Odysseus ventures to numerous exotic locations in a desperate attempt to return home. 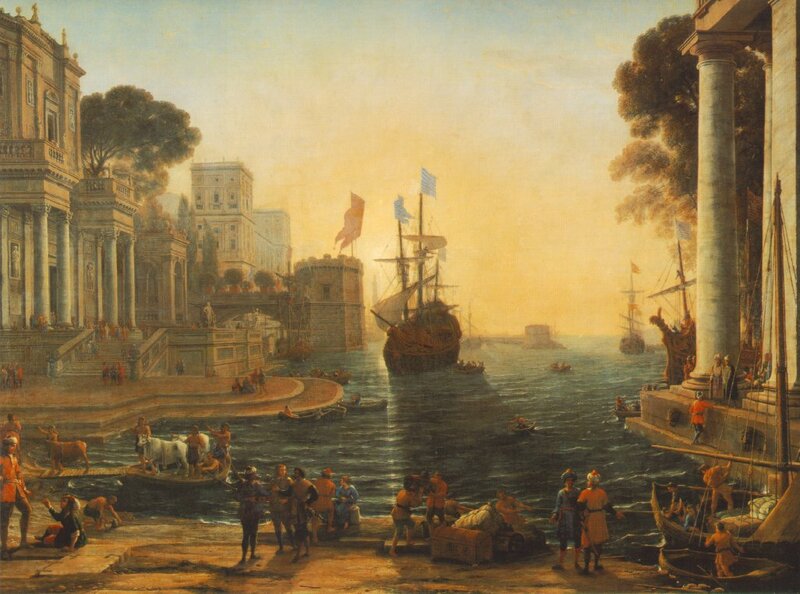 The Return of Odysseus, Claude Lorrain, 1644. Homer managed to intricately weave common threads through both poems. A strong sense of emptiness is apparent in Iliad through the heroes. They are destined to fight, thus they are dead before they die. In Odyssey, Odysseus is empty himself. On his extensive journey, he is suspended in an empty place between Troy and Ithaca, and even ventures to the Hades. He declares himself as �nobody� in the cave of the Cyclops, and disguises himself as a beggar. The identity crisis that Odysseus underwent can be paralleled to Achilles in the Iliad. When he stopped fighting, he was questioning his identity as a hero and as a man. Ultimately the Odyssey reverts back to the Iliad�s sense of war. The battles in Odyssey become bloodier and bloodier and Odysseus ventures close to Ithaca. 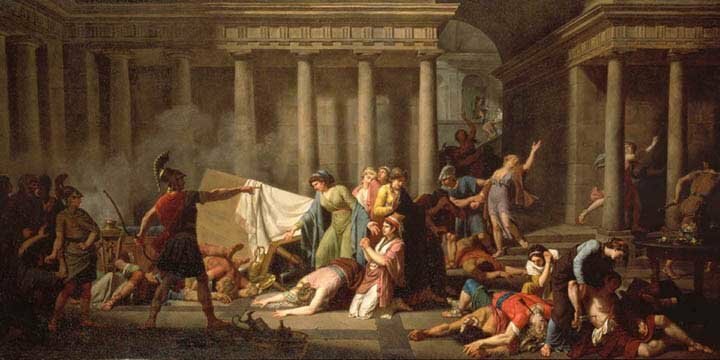 In the final scene, Odysseus kills his maidens in sense of catharsis and the suitors are sent to Hades. Although Odysseus has returned from Troy, he is still a warrior at heart.